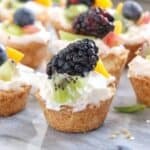 Mini tarts are a delicious, healthy dessert idea for entertaining, parties, or as a dinner treat. 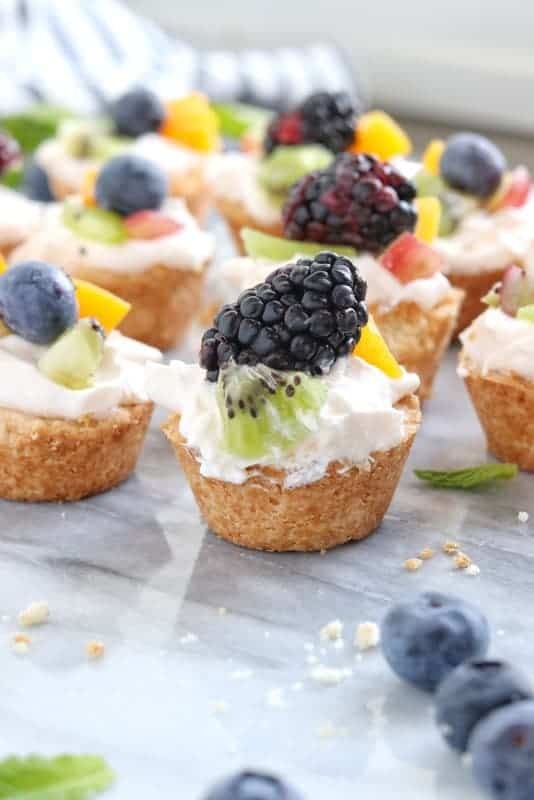 Mini fruit tarts are made with a cookie crust, whipped topping, and lots of fresh fruit for a healthy dessert recipe any time of the year. I feel like no matter what the food, anything “mini” tastes 100x better – anyone else agree?! 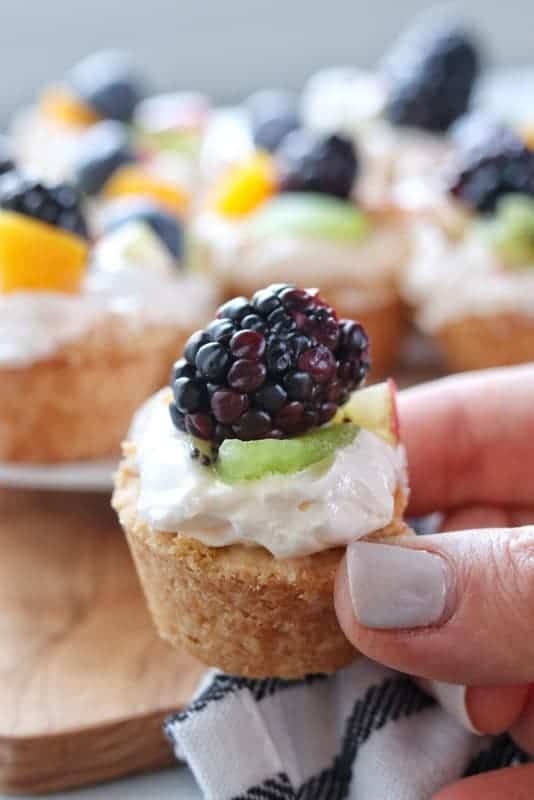 These mini tarts are my go-to recipe when it comes to entertaining a crowd or needing a healthy dessert to serve after dinner. They are the perfect bite sized treat! Over the years, I have tried different fruit tart recipes but this one is definitely my favorite. Every time I mention the words “fruit tart”, my kids are in the kitchen ready to help. We have plenty of memories making this recipe together as a family. So, I encourage you to grab your family and head to the kitchen to make this delicious mini fruit tartlet recipe! 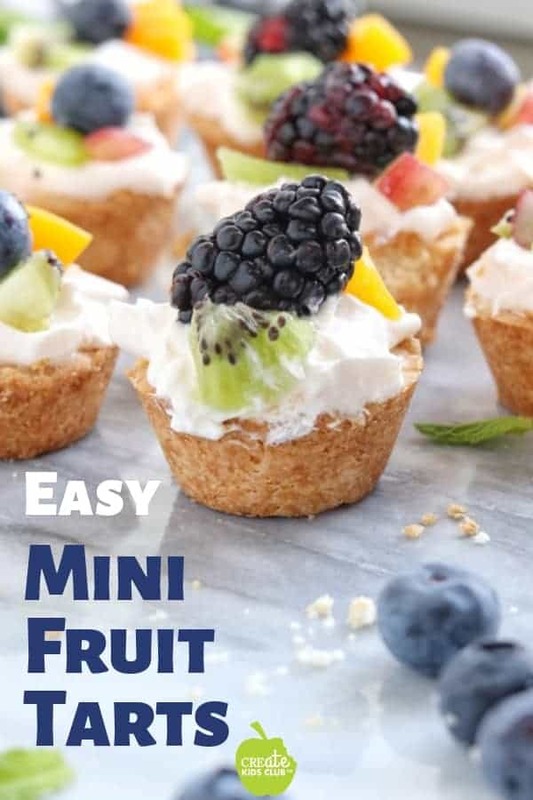 Keep reading or check out this video for step by step instructions on how to make mini fruit tarts! 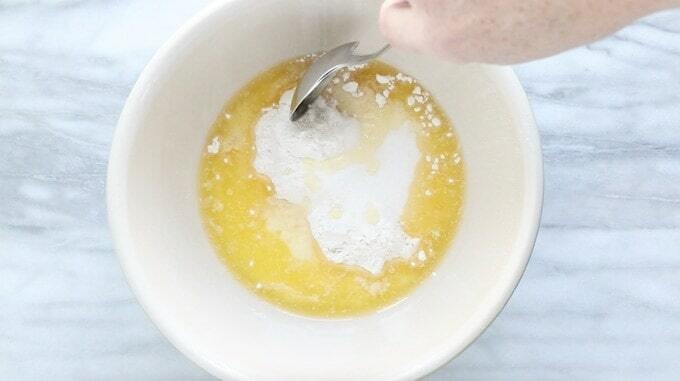 In a medium-sized bowl, mix flour, melted butter, sugar, and salt. Crumble dough into small chunks with clean hands. Spray muffin tin with non-stick spray. 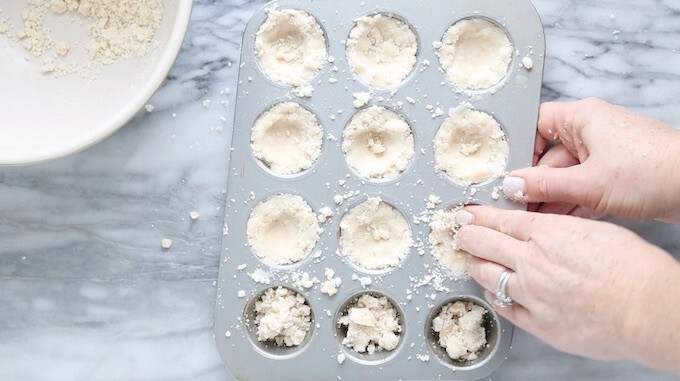 Press chilled dough into the bottom of 12 mini muffin tins. Bake for 10-12 minutes. Let cool before removing from tin by inserting a knife straight down, popping the tart loose from the tin. 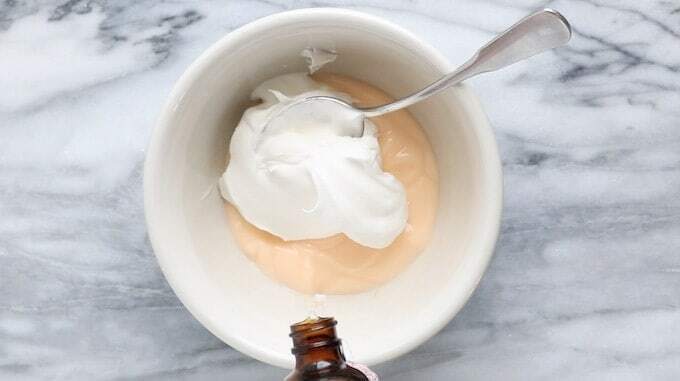 Meanwhile, in a small bowl, blend yogurt, cool whip and almond extract. 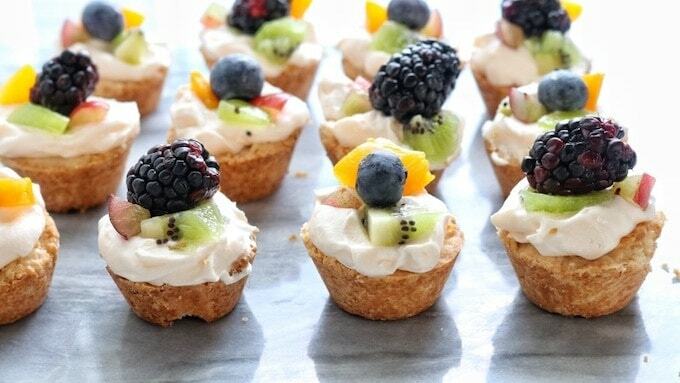 Spread mini tart with cool whip mixture and top with fruit. Serve within 1-2 hours or wait to add the fruit until right before serving. To start, mix the crust ingredients in a bowl until the dough starts to form together and crumble. 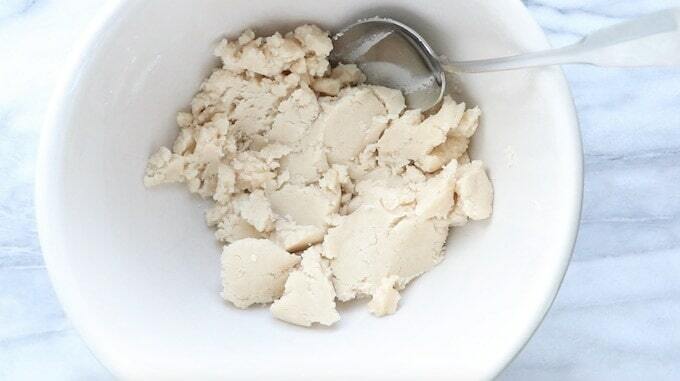 Place the dough in the refrigerator for 30 minutes once it is mixed. IS PUTTING THE DOUGH IN THE FRIDGE NECESSARY? Yup! While most of us hate waiting for the dough to chill in the fridge, it is definitely an important step for two reasons. Reason #1 – The butter in the dough has time to become solid, which will create a more flaky crust for your tarts. And who doesn’t like flaky tart crust?! Reason #2 – Chilling lets the gluten that has formed in the dough to relax, which will create softer and tender tart shells. Gluten is the name of the proteins found in wheat, rye, and barley. I like to think of gluten as the glue in recipes – as gluten forms by mixing, the dough will stick together. Meanwhile, add the yogurt and cool whip to a small bowl. Then, drizzle in almond or vanilla extract & stir. I enjoy finding easy ingredient swaps to make delicious and nutritious recipes. Typically, tarts are made with a cream cheese filling. 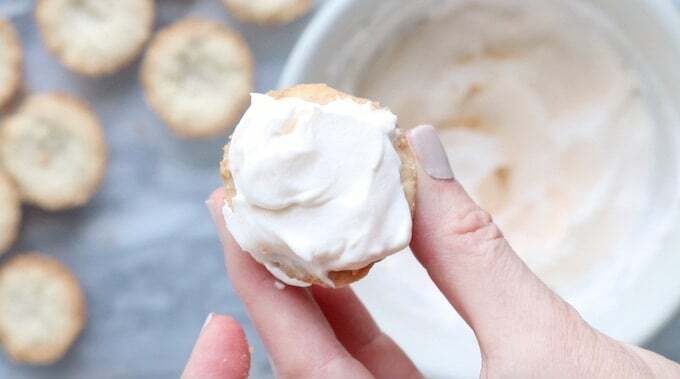 However, this recipe swaps the cream cheese for low-fat yogurt and cool whip for a fluffy filling with an amazing flavor. Plus, with all the different yogurt flavors available, you can choose your favorite. I have experimented with numerous flavors but peach is definitely my top choice! Set the cool whip filling to the side for later. Next, spray a mini muffin pan with non-stick cooking spray. I typically take a few pinches of the chilled dough and crumble it into each section. Then, I gently press the dough into the muffin tin making sure that the dough is flat in the center and rises up on the sides of the pan. BAKING TIP: The less you handle the chilled dough, the flakier your crust will be! Before you put the crust into the oven, you will want to “dock” the dough with a fork or toothpick. DO I HAVE TO “DOCK” THE DOUGH? Yes! The holes in the dough will let steam escape during cooking so bubbles do not form in the dough. Bubbles cause your crust to cook uneven and make it difficult to add toppings at the end. This is a great step to get your kids involved! My kids love the challenge of poking holes in the top of each shell to make sure their tart doesn’t bubble in the oven. After you have poked holes in the tops of each crust, bake in your preheated oven for 10-12 minutes or until the tops of the crust are golden brown. KITCHEN TIP: Set your timer for the lower amount of time when a cooking time range is given in a recipe. You can always cook your recipe longer if needed. Remove from the oven and let the crusts cool. 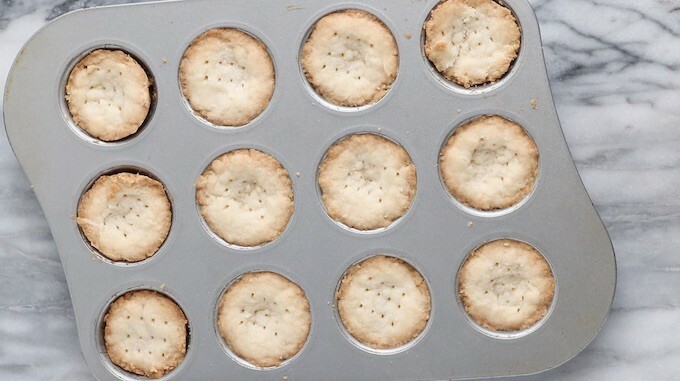 Once cooled, insert a knife around the edges and gently pop each mini tart cup out of the pan. Gently spread the cool whip mixture on top of each tart shell. WHEN SHOULD I ADD THE FRUIT? If you are planning to serve the miniature tarts within 1-2 hours, go ahead and top each crust with your favorite canned or fresh fruit. 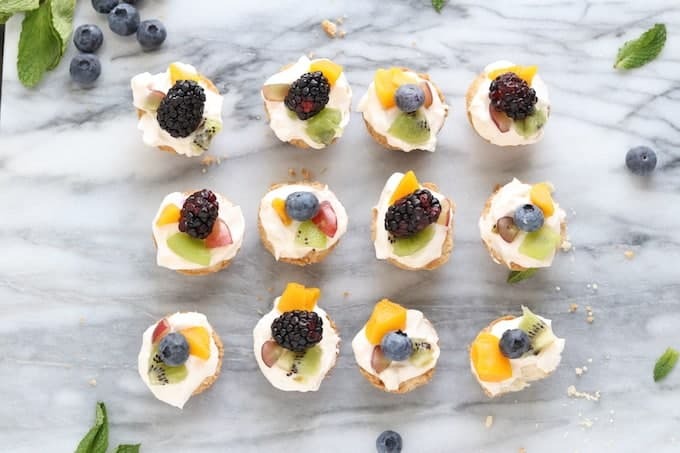 However, if it is going to be longer than 2 hours then store the mini tarts in the refrigerator and add the fruit closer to the serving time! Since there are SO many fruit options, I encourage you to add new fruit each time you make these tarts. I hope you and your family shared some laughs and created memories along the way when making your mini dessert tarts! Looking for other delicious & “mini” recipes? Check out my Mini Zucchini Bread Muffins and Oatmeal Peanut Butter Balls ! Mini tarts are a delicious, healthy dessert idea for entertaining, parties, or as dessert. 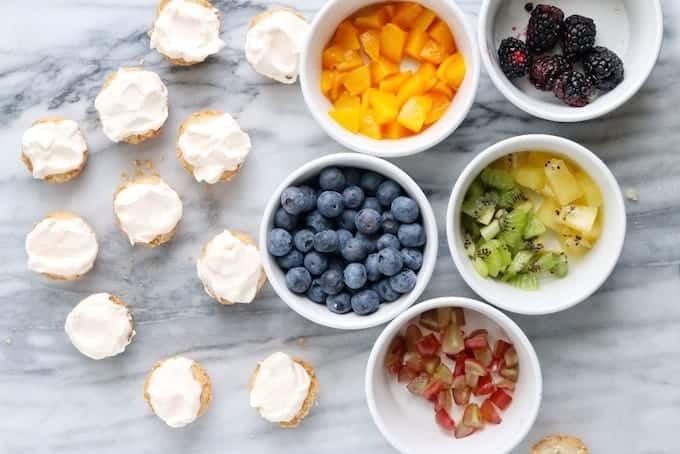 Mini fruit tarts are made with a cookie crust, whipped topping, and lots of fresh fruit for a healthy dessert recipe. Meanwhile, in a small bowl blend yogurt, cool whip, and almond extract. I was looking for a handheld dessert for a shower this weekend. Can’t wait to try these!